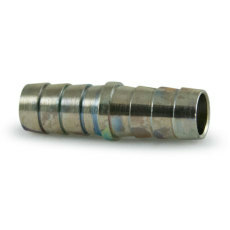 One cylinder, many kegs...what's a brewer to do? 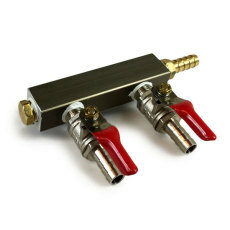 Thankfully, Great Fermentations makes distributing gas to multiple kegs or devices a snap with out selection of gas splitters and manifolds. 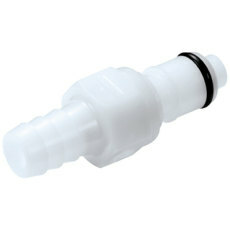 We can help you carbonate and serve from multiple kegs, bottle from the keg, or do most anything else! 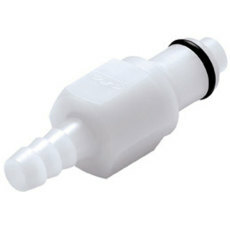 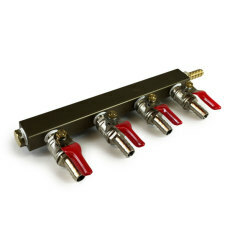 A 2-way manifold for running CO2 to multiple kegs or devices from one tank. 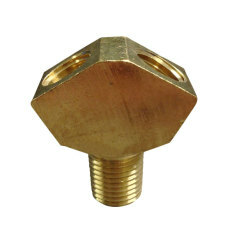 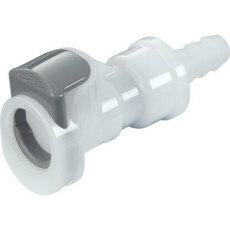 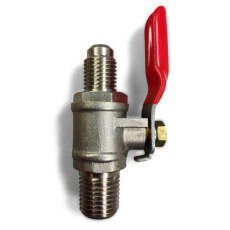 A 1/4" straight barbed male quick coupling that quickly connects to the female end. 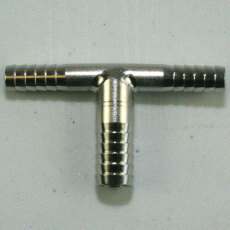 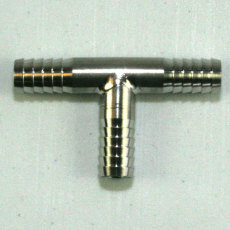 A 1/4" straight barbed female quick coupling that quickly disconnects from the male end. 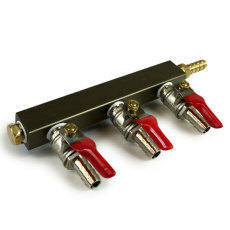 A 4-way manifold for running CO2 to multiple kegs or devices from one tank.